Signed and dated 1935 lower left. 29 7/8 x 35 in. ; 75.88 x 88.9 cm. Kirk’s Donut Shop, in Portland, was a gathering spot for labor and communist leaders in the 1930s. 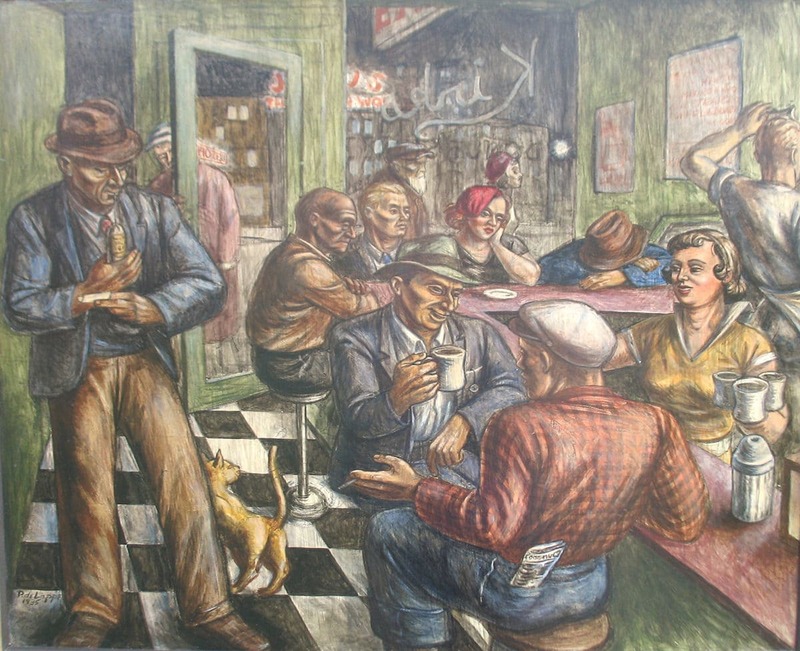 Dirk DeJonge, a well-known Portland communist and the defendant in DeJonge v. Oregon is depicted in this painting (the bald man at the counter).